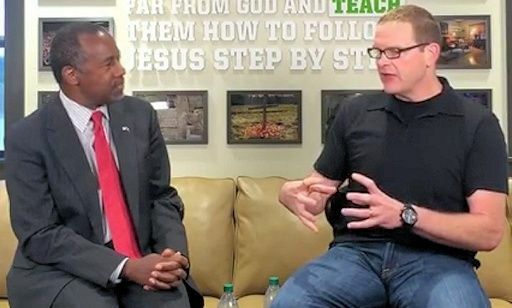 Wow I had a lot of respect for Ben Carsons until I saw him talking to this pathetic Fraud. Noble from the pulpit was counselling his young male parishioners on how to ask a woman out. He told them and I quote "grow a pair". This guy uses these outrageous comments to get people to believe he's "cool" and gets it but he is the biggest dork in the history of dorks. I cannot see for the life of me what people see in this guy he is creepy at best.